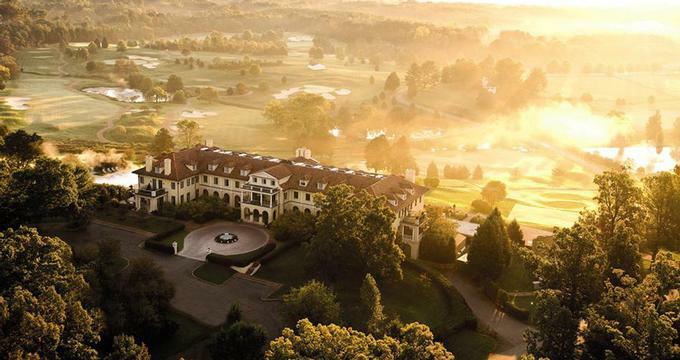 This impressive Virginia getaway offers 18 holes of championship golf, gourmet dining, spa services and a pool with a view. 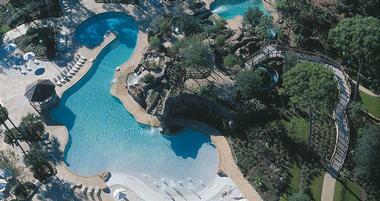 Plan a golf and spa weekend getaway to Innisbrook Golf Resort near Tampa, Florida. Every once in a while, the city’s locals and visitors need a little escape from the daily hustle and bustle, and that’s where these 25 magnificent golf courses come into the picture. Discover our insider tricks for planning the ultimate golf vacation, whether you are looking for a quick weekend getaway or a trip to an exotic destination. In this guide, we reveal top travel secrets for getting the best deal, free rounds and free nights. Here are some of the commonly asked questions by travelers and the answers collected by our editors. Where should I go? When deciding where to go, consider your budget, how much time you have, where you live, who you are going with and the season. Planning the ultimate golf getaway in the summer will be a lot easier and cheaper than in the winter when you will have to take a plane to a warm-weather destination like Florida, Hawaii or Arizona. If you only have a few days, consider driving to a nearby resort to avoid the expense of airline travel and jetlag. If you are going with somebody who is not a golfer, make sure that you pick a destination that will have activities for both of you, such as a spa, jogging trails and shopping. There are hundreds of amazing courses to play on in the U.S., Europe, Asia and other destinations. How do you pick the right one for you? Do you like warm weather with strong sun (Maui, Arizona, Florida) or do you prefer cloud cover with a chance of rain (Scotland, Ireland, Italy)? Is a view of the ocean a must (Caribbean, Thailand, Mexico, Bermuda, Costa Rica, Belize and Bali) or do you prefer a mountain or a desert course (California, Las Vegas, Australia and Alberta, Canada). Golf Getaways - When is the best time to go? Each season has its charms. Summer days are long, warm and the weather is the most stable. Fall days are fresh and invigorating; this is the season for great golf deals and for watching spectacular fall foliage displays. During the winter months, a quick trip to the tropics or sub-tropics is a great way to recharge and get away from the long, cold winter. Spring is a beautiful time to be outside, and a good time to look for last minute specials and golf packages. How do I get the best golf package or deal? Most golf resorts offer deals and packages, often throughout the year, but sometimes seasonally when demand for rooms and tee times diminishes. If you can get away during the week, check in between Sunday and Thursday for best deals on both accommodations and golf. Weekends are the busiest time at golf resorts and at golf clubs because that’s when most people can take off from work. Avoid major holidays like Christmas, Thanksgiving, Labor Day and Memorial Day because airline tickets and room rates are the highest then. The best time to look for deals is during the shoulder season during the course opening and closing weeks. The weather is usually colder and less stable then, but you will find the best deal. 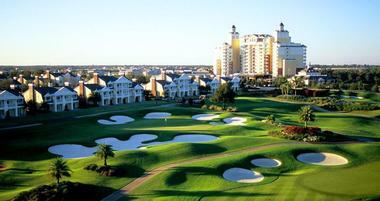 Golf Getaways - Can I get an all-inclusive package? There are several great resorts which offer all-inclusive pricing. Look for unlimited rounds to get the most out of your golf vacation. Take a look at Pinehurst in North Carolina which has 8 golf courses and offers a special which includes golf, accommodations, breakfast and dinner. How do I pick the right golf school for me? Golfers usually have a choice of two types of instruction: classes in a small group or on-on-one instructions. In both cases, you will receive classes and swing analysis in the morning, and have a chance to practice on a real course in the afternoon. The cost is significantly lower if you take group classes, but you will also receive less personal attention. If you are a beginner, taking a class is fine because you will have to repeat the same movement many times. If you are an intermediate golfer, you may get more for your time and money if you hire a private instructor so that you can focus on the aspects of your golf game that need the most improvement: short game, full swing or mental game. If you are not sure which option you need, pick a destination that offers both so that you can decide once you get there. Ask if you will receive a video analysis of your swing that you can take home with you. Inquire about the kind of equipment that the school uses so that you can compare your options. Golf Getaways - When should I book my tee times? As far ahead of time as you can. This will vary from resort to resort - call as soon as you know your travel dates and reserve your tee times. High demand courses can be booked months in advance, especially during the busy holiday season. This does not mean that you should give up – if you don’t get the tee times that you want, keep calling them to see if they get a cancelation. Remember that if you are traveling to the tropics, days are much shorter in the Pacific, even in the summer. What are some of the best golf destinations in the U.S.? Look for courses that fit players or various still levels, especially if planning a guys’ trip or a getaway with your better half. Some of the top courses to play in the United States include Pinehurst, Myrtle Beach, Palm Springs, Pebble Beach and Amelia Island. What are some of the best courses in Europe? Carnoustie and St Andrews Bay are two famous courses in Scotland. Many U.S. golfers don’t realize that they need a certain handicap to play on these courses and a letter of introduction from your golf club. Italy, Germany, France and Switzerland are home to many scenic courses. Before you book your vacation, ask about any special requirements you may need to fulfill to be allowed to play on the course. You probably have many questions about your trip: should you bring your own clubs or rent them, what to pack and how. Read through these helpful tips and answers to some of the most commonly asked questions about golf travel. Golf Vacation - What should I pack? A golf vacation without your own clubs can be tricky, which means that you need to factor in the cost of flying with an extra bag. There is also the risk of the airline losing or damaging your golf clubs, so be sure to purchase a good travel bag and make sure that the credit card you purchased your tickets with covers damage or theft. In addition to the golf clubs, bring comfortable golf clothing, shoes and rain great if rain is a possibility while you are out on the course. Two pairs of golf shoes are always a good idea since you may step into a water hazard and not be able to use the first pair. Although you can purchase some items when you get there, be sure to bring all of the essentials. Even if your course has a pro shop, their selection may not be what fits your style. What is the best time to tee off? Start your round between 7 and 8 am so that you can finish in time for lunch and avoid the hot sun. On some courses, you can tee off before 7, but be sure that practice facilities open early enough for you to get some putting and chipping practice before the game, if you need it. If you are looking to save money, most courses offer lower rates in the afternoon (call ahead to ask at what time – it’s usually 1 or 2 pm). The twilight rate is the cheapest, but you will probably not be able to finish your round, especially if there are other golfers ahead of you. On a busy day, you will be paired with up to three other golfers to reduce the time each player spends on the course. Keep in mind that many courses give preferences and often lower rates to resort guests. It may be a good idea to book accommodations that will give you access to those features, although there may be more affordable options nearby. For example, if the resort charges $150 per night for a room and a nearby inn charges $130, but golf rates are $65 got resort guests and $90 for non-guests, you will actually be paying more money total if you stay at the cheaper inn. Can I rent golf clubs when I get there? 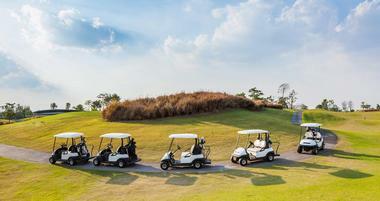 Nearly all golf courses offer golf club rentals for an additional fee. The quality of the rental clubs varies greatly, and sometimes ladies’ and left handed clubs are not available. It’s a good idea to call ahead and ask what kind of rental clubs are offered. The best case scenario is a place where you can play with new demo equipment from top manufacturers such as Taylormade, Callaway or Titleist irons, drivers and putters. Even if you remember a golf course with great demo equipment from your previous trip, be sure to call and check if it is still available because these programs frequently change. Another option is to rent clubs from a company like Clubs to Hire with prices starting at about $50 USD per week. Golf Vacation - How much does it cost to check a golf bag? While there are still some airlines that let you check your golf bag for free, most will charge up to $100 each way. Some golfers FedEx or UPS their clubs to avoid them getting damaged or delayed by the airline. Door-to-door delivery services exist which will take good care of your golf clubs. How do I pack my golf bag? Pros usually use a hard case for their clubs because it offers more protection than a soft case. If you don’t want to spend an extra few hundred dollars on a hard case, there are some tricks you can use to give your clubs some extra protection in a soft case. It’s a good idea to put covers on the driver, putter and other clubs that have a cover. Keep the clubs in the golf bag and wrap them in your clothing, golf towel, etc. Once you put the golf bag over it, nothing should be rattling around and the golf clubs sound be well padded by the cloth. We did many flights with a soft golf bag and the clubs arrived at their final destinations as good as new. Plan your vacation in the Caribbean, Europe, Canada and Mexico around one of these unique golf and spa resorts where you can play a scenic round, followed by a relaxing treatment. The Caribbean islands offer many great hotels where you can combine relaxation in the sun with scenic play and massages. Tortuga Bay Hotel in the Dominican Republic offers championship courses, wellness center, eight restaurants and a collection of luxury villas designed by Oscar de la Renta. Provo Golf & Country Club has a 18 hole championship course with scenic views. Tryall Club in Jamaica features a Ralph Plummer-designed course which hosted several international events, such as Johnnie Walker World Championships, Mazda Champions and Jamaica Classic. Scottish resorts are famous for their challenging and scenic layouts. 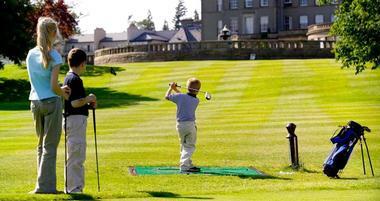 Carnoustie Hotel has a championship course and a luxury wellness centers. Moreover, there are 200 courses within a two hours drive of the hotel, giving travelers an incredible selection of places to play. St Andrews Bay is set on 520 scenic acres on the coast of Scotland. The hotel has two courses: the new Kittocks course (previously the Devlin) and the Torrance course. The wellness center has 12 treatment rooms where you can soothe your sore muscles after a day of play. 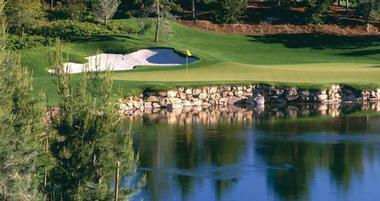 The Gleneagles Hotel has three scenic courses and an European-style wellness center. 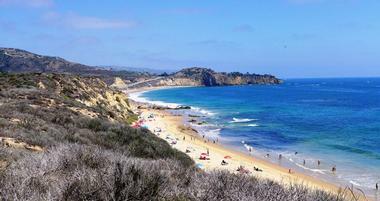 Mexico offers vacationers scenic holes, full-service spas and sandy beaches. The Fairmont Acapulco Princess offers 36 holes of championship play, Willow Stream Spa and five swimming pools, including tropical waterfalls and lagoon. Rosewood Mayakoba guests have access to the signature Greg Norman 7,000-yard, 18-hole course, El Camaleon, and Sense wellness center. You can also stay at the nearby Fairmont Mayakoba and play on the same course. Las Ventanas al Paraiso is near six great golf courses, offers a luxury wellness center and 61 individually furnished suites. Canadian resorts are a popular summer destination, offering scenic holes and relaxing wellness centers. 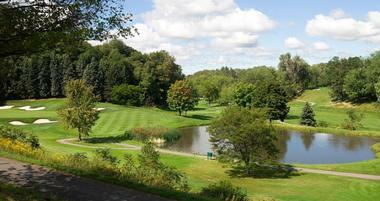 Fairmont Algonquin has a 18-hole course and an extensive school offering customized clinics for men, women and couples. Le Manoir Richelieu in Quebec offers scenic play and a health club with an indoor pool, two outdoor all-season pools, two whirlpools and a steam room. Jasper Park Lodge is a mountain destination with beautiful views of the Canadian Rockies in Alberta, Canada. The Dromoland Castle course is surrounded by the beautiful Irish countryside and offers spectacular views of the 16th century castle. The resort has a luxurious spa, beautiful gardens and many outdoor activities. Mount Juliet is home to the 18-hole signature course designed by Jack Nicklaus and The Academy where you can improve your game. Mount Juliet has a health club with a 15-meter swimming pool, sauna, steam room and gymnasium. At Ashford Castle in Ireland, vacationers can play golf, go fishing, lake cruising and horseback riding. 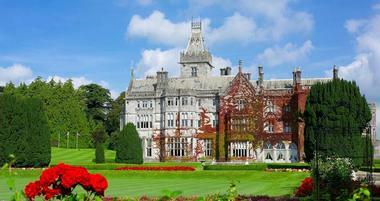 Adare Manor is a 840-acre estate with a relaxing health club and a Robert Trent Jones Sr. designed championship course. Italy offers a good selection of amazing resorts where vacationers can enjoy scenic play while getting treatments at European-style facilities. Verdura Resort in Sicily has two championship 18-hole courses and a 9-hole course. This beach resort has a spa with a varied menu of balancing mind-body treatments and therapies. Explore the beautiful island of Sicily, famous for its archeological sites, delicious cuisine and beautiful coastline. Sicily is the largest island in the Mediterranean Sea - if you drive along the east coast you can observe the famous volcano Mount Etna, the most active volcano in the world. Summers in Sicily are hot and dry, so visit in the spring or fall to enjoy the best weather. Palazzo Arzaga in the Italian Alps has two courses with scenic mountain views: the Jack Nicklaus II, Championship Course, and on the Gary Player, Inland Links Course. The PGA of Europe Academy at Palazzo Arzaga offers lessons and tools that can help you take your game to a new level. The spa at Palazzo Arzaga is centered around healing thermal waters and gives you the chance to try a number of innovative treatments.